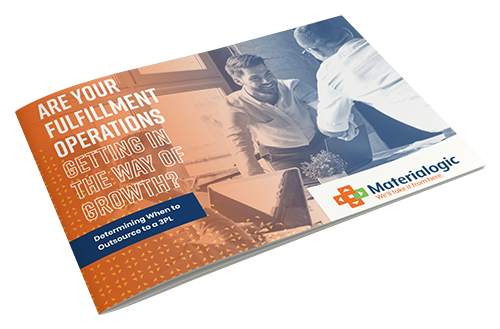 White Paper - Are Your Fulfillment Operations Getting In the Way of Growth? Are Your Fulfillment Operations Getting In The Way of Growth? Th e internet and the rise of e-commerce ignited rapid growth in the 3PL (third-party logistics) industry in the early 2000s, and outsourcing fulfillment to specialists is becoming more common than ever. According to a recent study by Armstrong & Associates, 86% of domestic Fortune 500 retailers and 96% of domestic Fortune 100 retailers use the services of 3PL's for their fulfillment. So, what are the signs that you can benefit from outsourcing to a 3PL? This paper discusses the signs that are often overlooked or rationalized away as "normal for businesses my size"— no time for marketing, frustrations with technology, international growth — but in reality, they are early indicators that your business is poised to start a relationship with a trusted 3PL partner. Download the white paper to determine if your organization is ready to benefit from a partnership with a 3PL.